Write the words “Water - Food - Energy” on a piece of A4 paper. Use coloured pens to draw links between them, explaining how they are connected by writing on the lines. Share your ideas with a neighbour then discuss as a class. 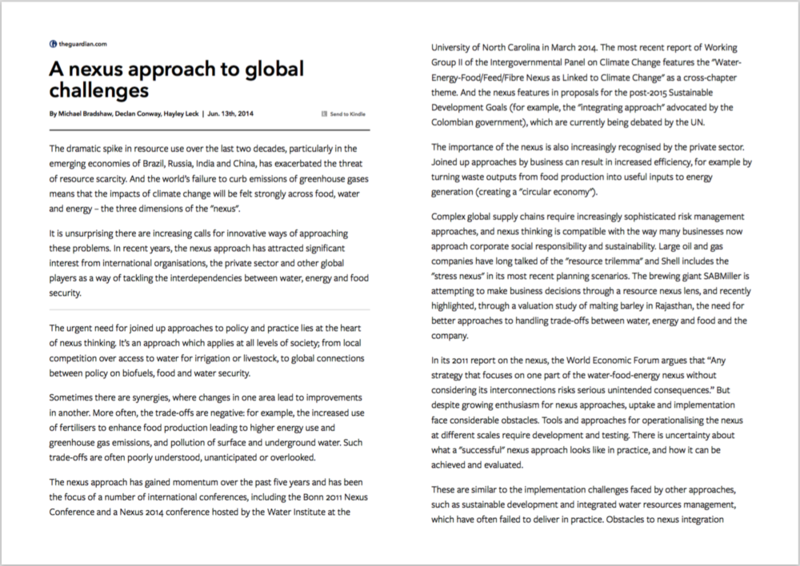 The water-food-energy nexus is central to sustainable development. Demand for all three is increasing, driven by a rising global population, rapid urbanisation, changing diets and economic growth. Agriculture is the largest consumer of the world’s freshwater resources, and more than one-quarter of the energy used globally is expended on food production and supply. 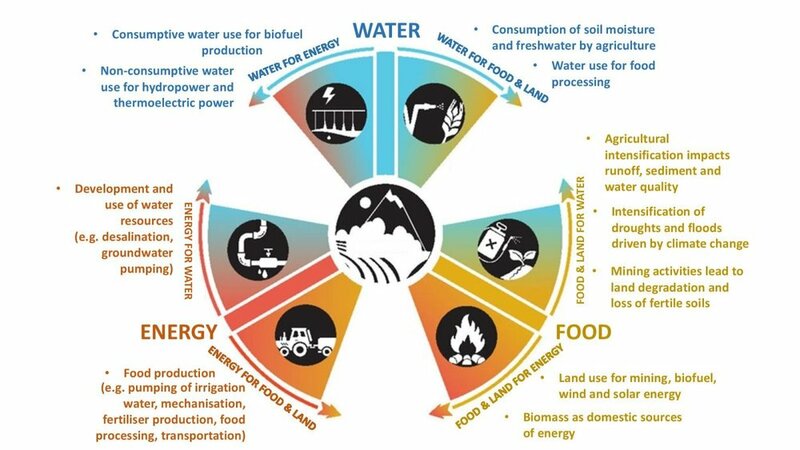 The concept of the food, water, and energy nexus is extremely relevant to Asia as the region has to feed two-thirds of the world’s population (4.14 billion people) and accounts for 59% of the planet’s water consumption. 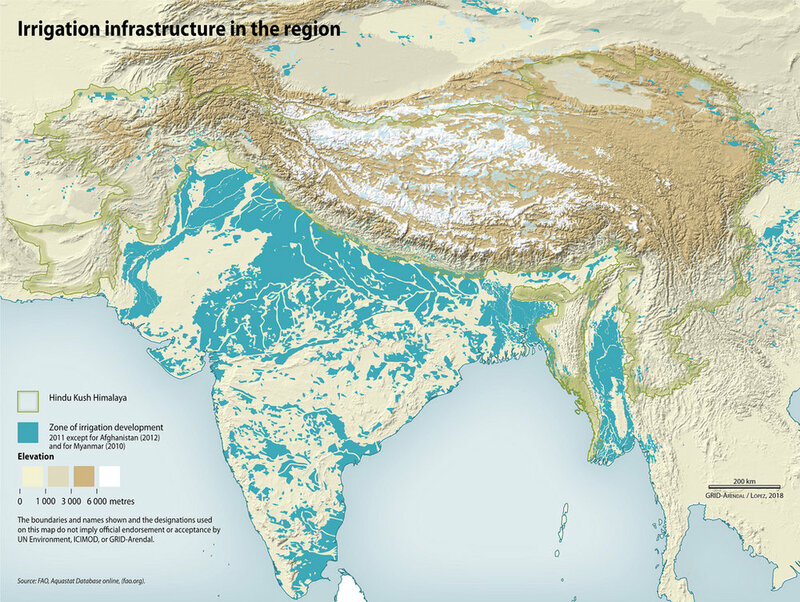 With just 3% of the world’s land, South Asia has about one-fourth of the world’s population (1.6 billion people). Rice and wheat, the staple foods in the subregion, require huge amounts of water and energy. Freshwater, once abundant, is under growing stress due to the increased demand for competing uses, and climate change is creating additional uncertainties. About 20% of the population of South Asia lacks access to safe drinking water. The increase in water stress and water demand raises questions about how to ensure enough water for growing food without losing hydro- power for energy security. 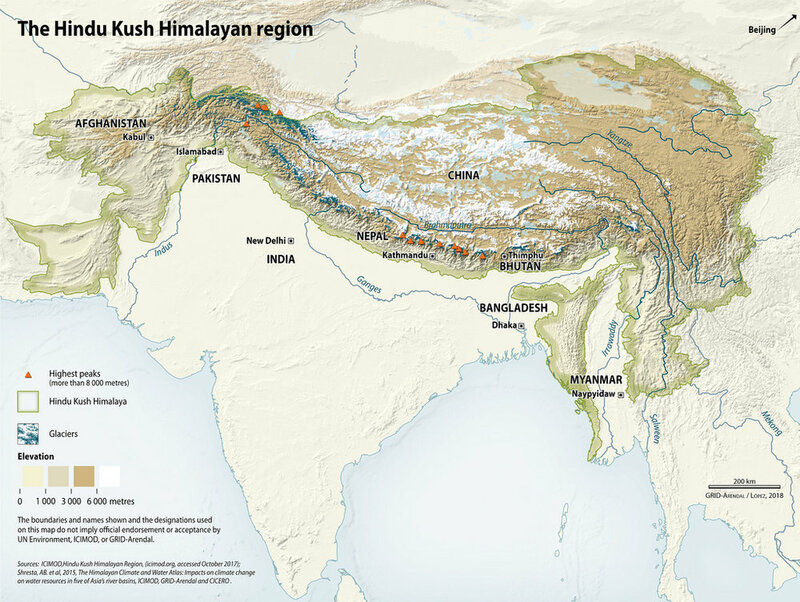 About 1.3 billion people in South Asia rely on freshwater obtained directly or indirectly from the Hindu Kush Himalayan (HKH) mountain systems. 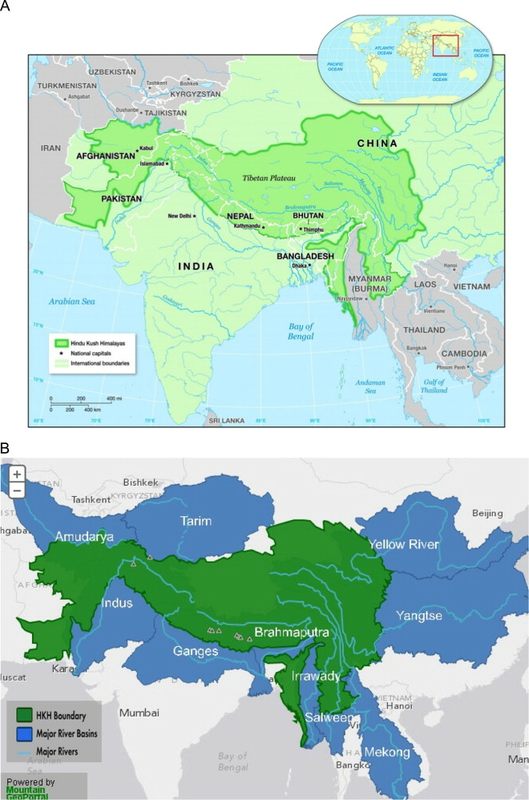 While all agricultural production depends on water, Asian agricultural especially requires large amounts of this resource to produce its most important staple foods – wheat and rice. 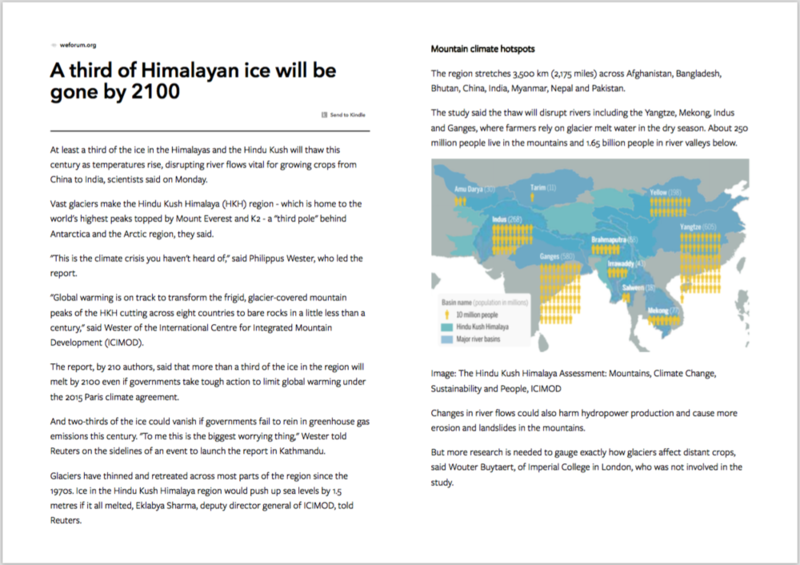 Any reductions in water availability could therefore have a devastating effect on the region’s food security. Economic development increases disposable incomes leading to increased consumption of consumer goods and the production of waste. There is a close relationship between economic development and the amount of waste produced (see map). What can be done to respond to this problem? Discuss in groups and list your answers. Despite improved controls on the international movements of waste, some examples still exist. Watch the videos above and note the environmental problems associated with international waste disposal.